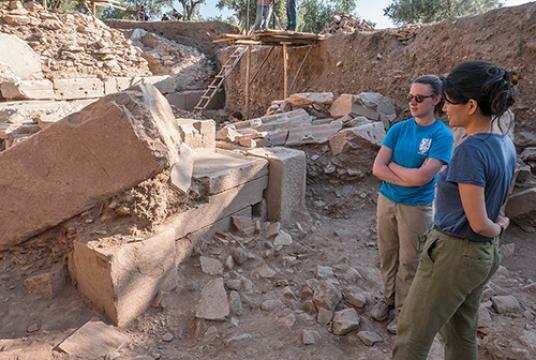 Research from the Archaeological Exploration of Sardis in western Turkey, sponsored by Harvard and Cornell Universities, continues to produce exciting and unexpected surprises. In this lecture, Director Nicholas Cahill, professor of art history at the University of Wisconsin-Madison, will present recent results from the expedition. Cahill will discuss ongoing excavation at a sanctuary of the Roman imperial cult and its transformation in late antiquity; work in the area believed to be the palace of Croesus and new evidence for the earliest occupation of the city; one of the largest Roman triumphal arches known; and conservation and restoration projects. The event will be held in Menschel Hall, Lower Level. Please enter the museums via the entrance on Broadway. Free admission. Complimentary parking available in the Broadway Garage, 7 Felton Street, in Cambridge. For more information, please contact Robin Woodman at 617-495-3940 or am_sardis@harvard.edu.